10 great colors: Black, Blue, Chocolate, Green, Mocha, Orange, Pearl, Pink, Red & Yellow. 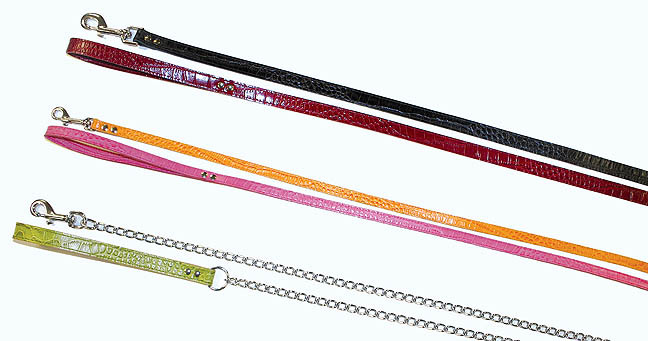 Choose from any color listed above and add either Bones, Hearts, Paws, or Spike & Stud. 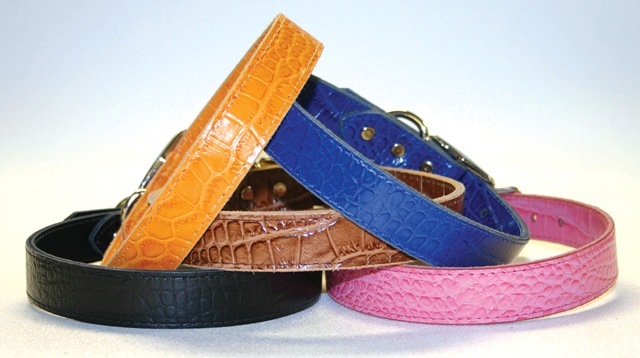 Croco leads to match the collars shown above. 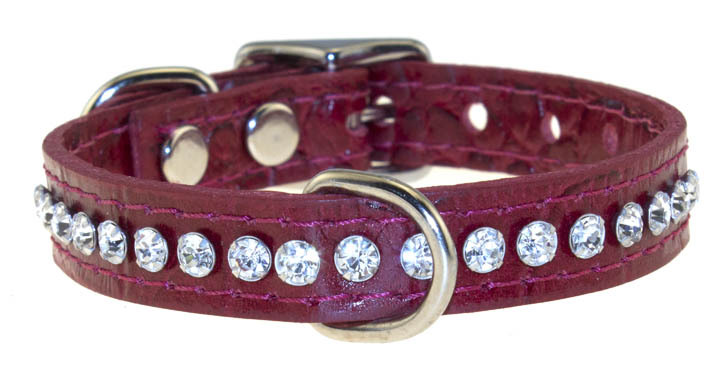 1/2" Regular Crystal Leahter Collar in Metallic Colors 10" 12" 14" 16"